System.ServiceProcess.TimeoutException: Time out has expired and the operation has not been completed. appdomainmanager!323c!06/15/2018-18:09:08:: e ERROR: Appdomain:1 DefaultDomain failed to initialize. Error: System.UnauthorizedAccessException: Access to the registry key ‘Global’ is denied. appdomainmanager!50c0!06/15/2018-18:09:08:: e ERROR: Windows service failed to start. Exception: System.Exception: Default appdomain failed to initialize. The application domain DefaultDomain failed to initialize. 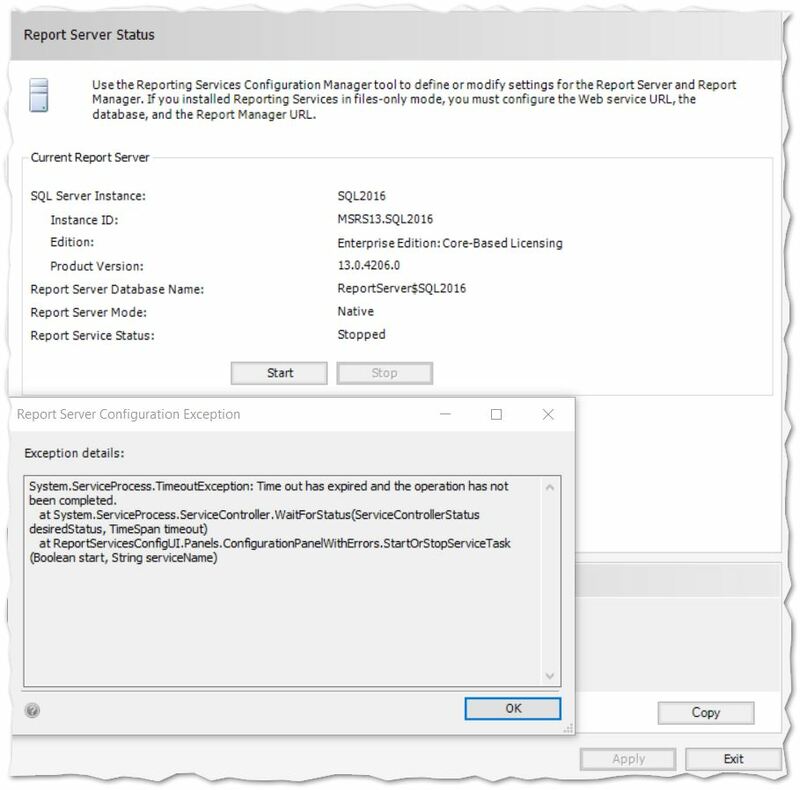 Error: Access to the registry key ‘Global’ is denied..
You may have seen similar service start timeouts for SSRS noted in the past, like https://blogs.msdn.microsoft.com/mariae/2012/11/12/reporting-services-service-doesnt-start-after-the-installation-of-ms12-070-security-patch/, but this is not it. 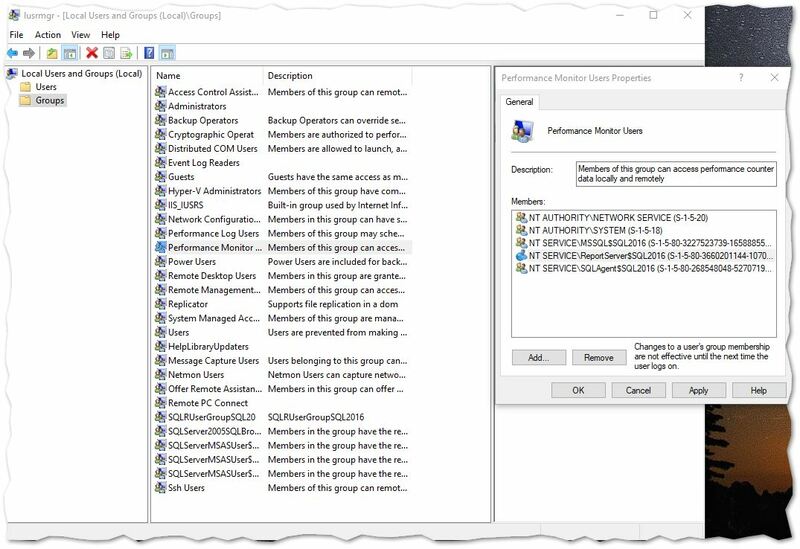 Ensure that your SSRS Service Account is added as part of the Performance Monitor Users group and Performance Log Users group in the Local User and Group settings. Run lusrmgr.msc to open the Local Users and Groups console. Search for those 2 groups in Groups, and add your SSRS Service Account. Since those are local accounts, make sure that when you are adding permissions, you search for those accounts from the local machine location. Once those permissions were added for my SSRS Service Account, my SSRS instance came up without issues. Thank you, thank you, thank you! You’re a lifesaver!